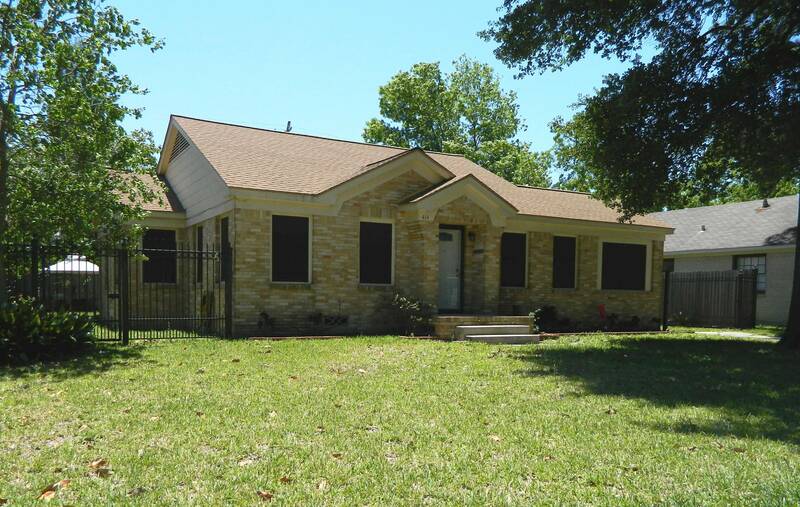 December 2013 Update: This house sold quite a while ago and the interest in Lindale Park has jumped dramatically. Call if I can help you find a home. 414 Eleanor is a 3/2/2 brick cottage for sale in Lindale Park. This is the quintessential brick Lindale Park cottage. It is larger than most with 2042 SF, and is on a 7950 SF lot. If you are familiar with Lindale Park, you know most of the homes were built in the 1940’s (this one was 1947). This is old enough to still be pier and beam construction. This type of foundation with a crawl space gives a more elevated look to the house as well as working on plumbing, etc., much easier. 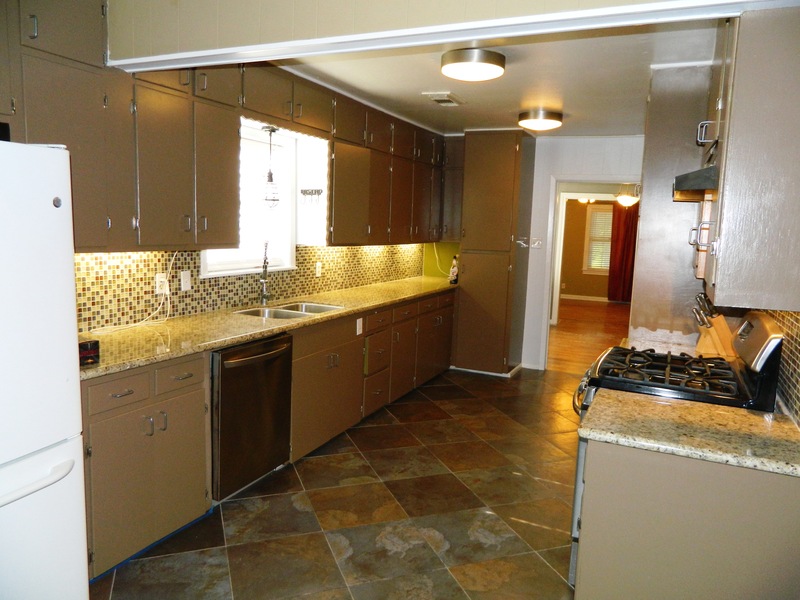 The updated kitchen has stainless appliances, granite counters, and tile back splash with mosaic glass tile inserts. Oak floors throughout except for the open kitchen/den area which has ceramic tile. One of the two full baths is original with the cool/funky period tile; the other is a more recent addition. See YouTube video for more photos. The light rail is nearing completion just 2 blocks away on Fulton, which should be transformative for this neighborhood. The house is priced at $265,000. Call to visit. See my Area Page on Lindale Park for more about the area, it’s history, etc. There is also a video of “Lindale Park, Then & Now”. Comparing a 1940’s sales brochure of Lindale Park to the neighborhood today. Lindale Park Homes For Sale and MLS Search. This page also has maps, history, house styles, home prices and more.